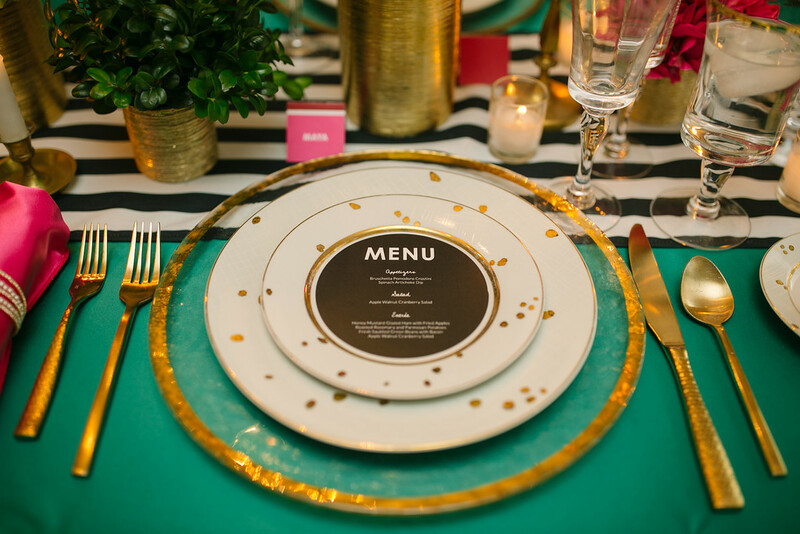 Hey, my stationery just got featured on the Minnesota Bride blog! 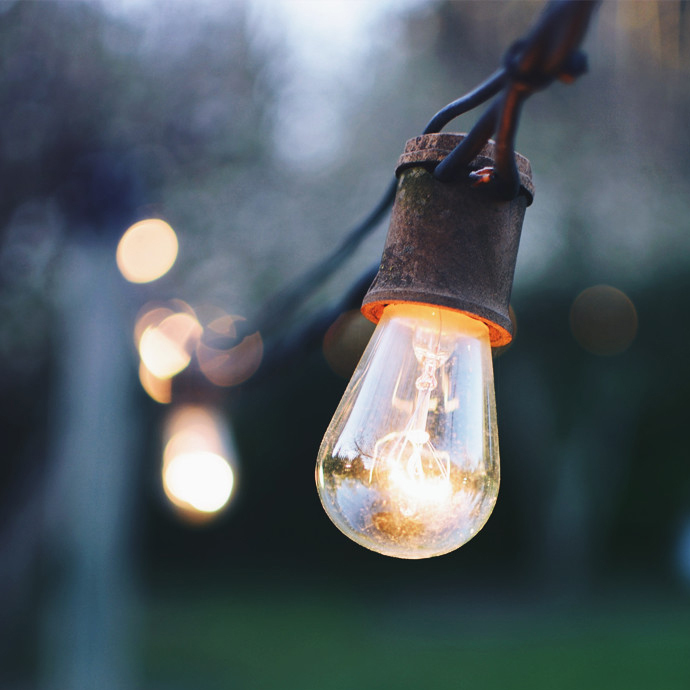 This is my first feature with such prominent (and nice!) people in the wedding industry! 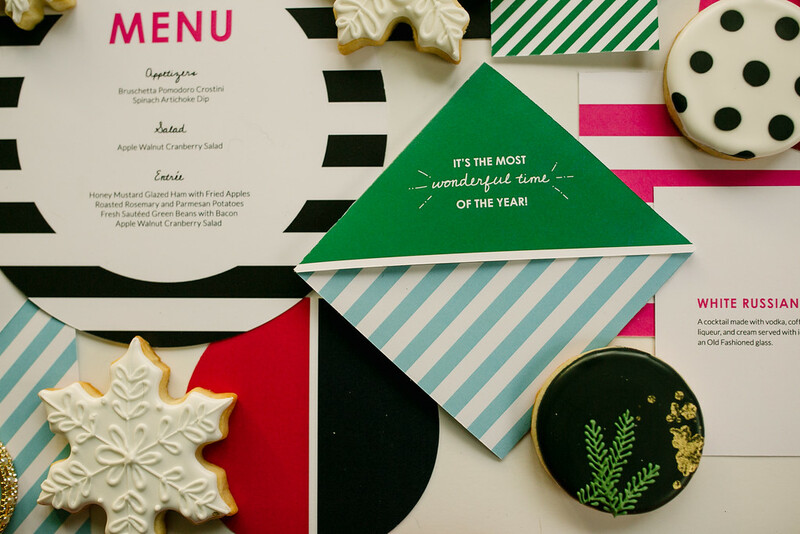 Rosetree Events asked me to design some custom stationery for their “how-to” shoot. 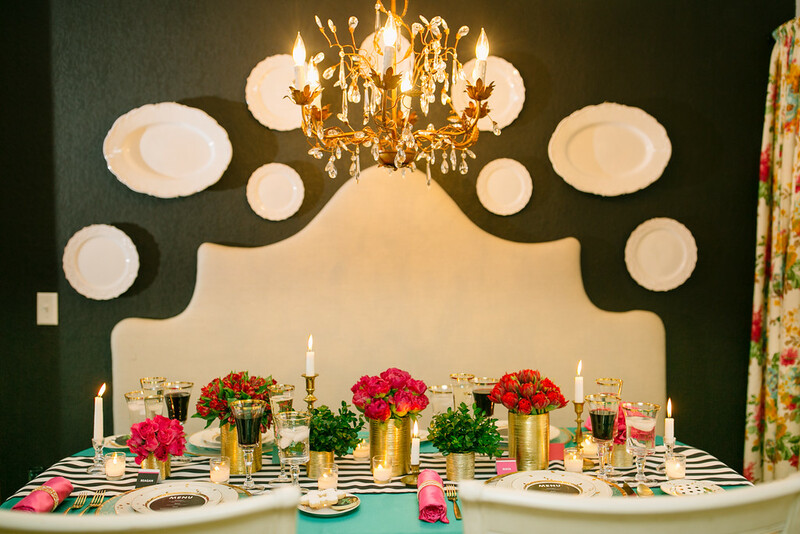 The inspiration for the shoot was Kate Spade. Bright blocks of color, stripes, clean, modern, and simple geometry. Of all the pieces, my favorite one to make was the invitation. I wanted to create a bold shape for it. I love how it folds diagonally into a square. That’s really one of my favorite things to explore with paper - creating my own unique and nontraditional shapes. This suite also includes a circular menu, square place cards, round coasters, White Russian recipe card, and a coffee card. 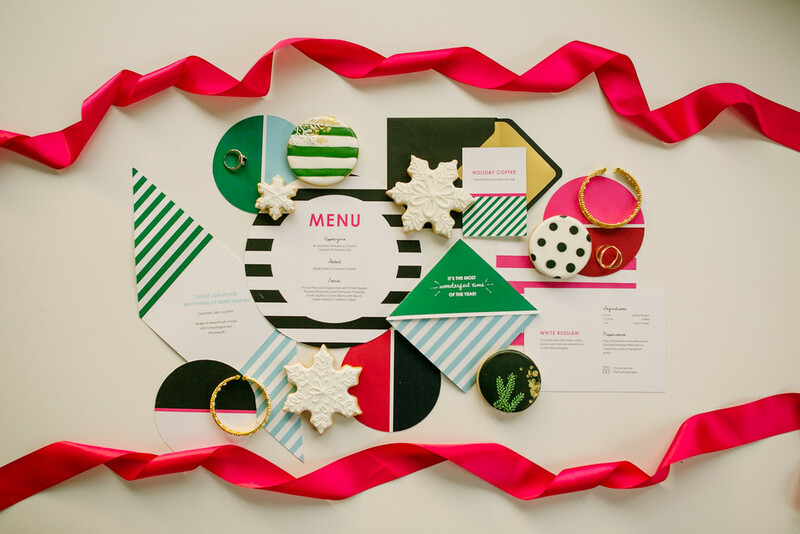 Bright and bold stationery for the Kate Spade inspired Holiday party. 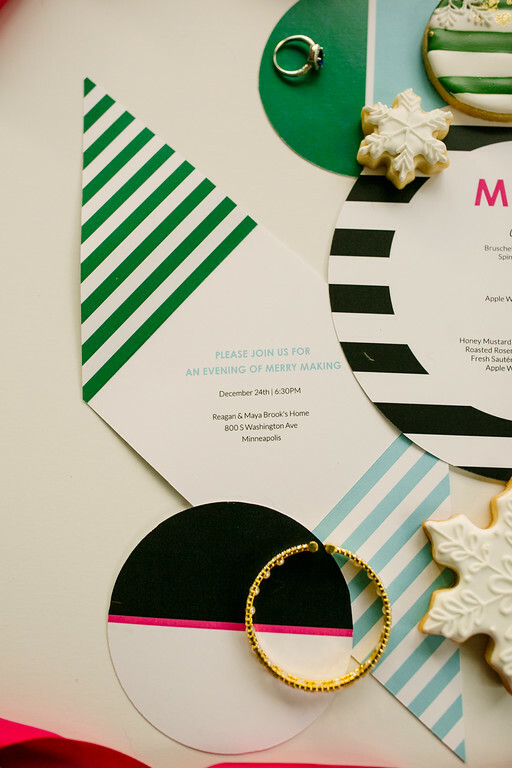 Square holiday invitation with bold colors and stripes! Invitation opens with more stripes. Black circular menu. Fits perfectly on the salad plate. So cozy, bright, and warm! And that chandelier! 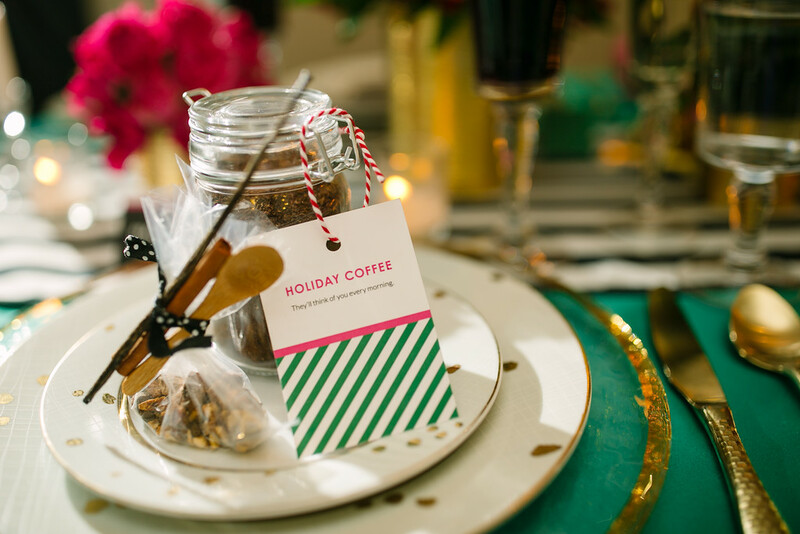 Take-home coffee gift with recipe card. 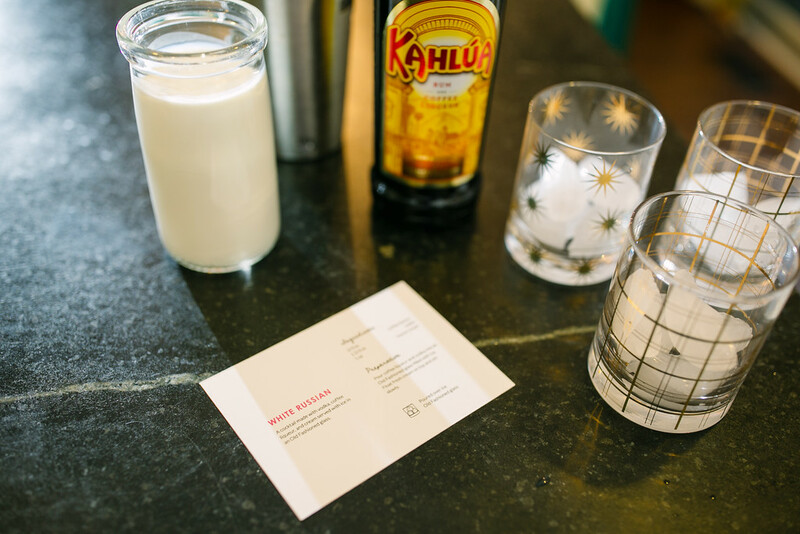 White Russian recipe card. Yes, we did make them too. Find your spot! 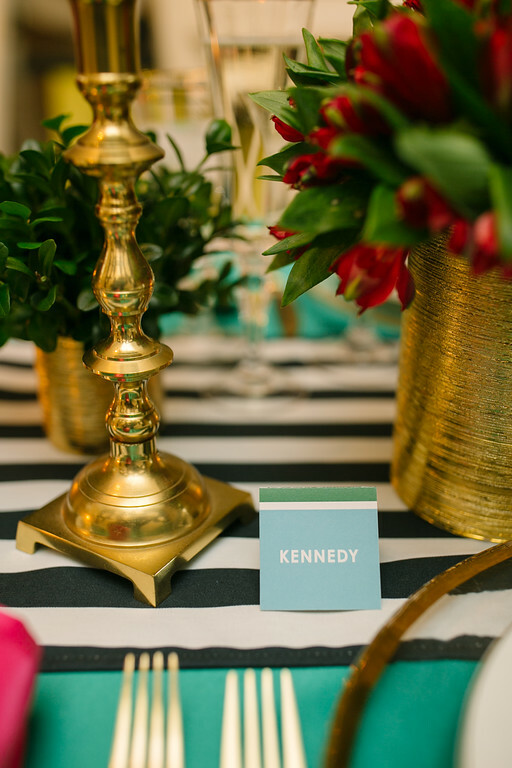 Bright and bold square place cards. Check out the full blog with Minnesota Bride!